In today’s blog we will look at how the special effects created the visuals of complete destructions in the 2018 movie Annihilation. Annihilation is written and directed by Alex Garland. It is based on novel by Jeff VanderMeer and casted actress Natalie Portman as protagonist along with others. It received appreciation for its visuals, acting, direction and thought-provoking story. 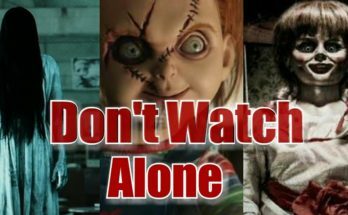 According to the Empire British film magazine ‘the film focuses on the issue of depression, grief and the human tendency for self-destruction’. 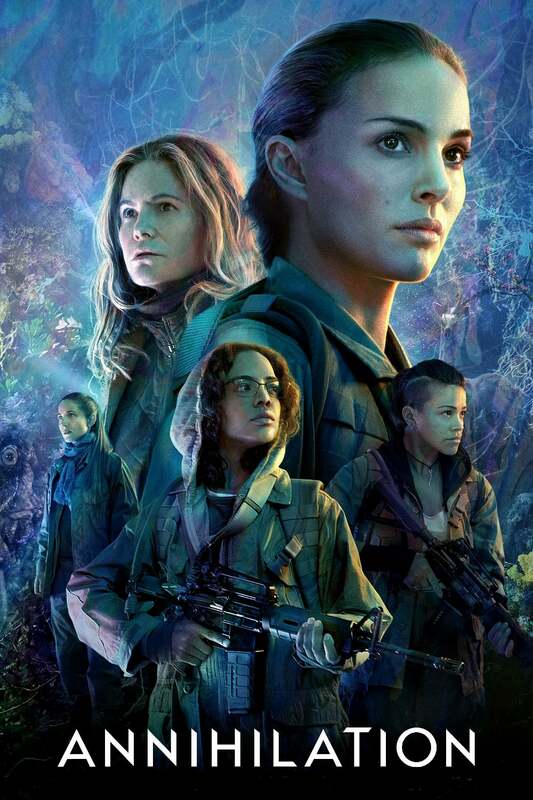 Annihilation was released theatrically in Canada and United States and released digitally by Netflix in many Countries. Let’s have a look at how VFX Studios like Double Negative, Nvizible and Milk VFX created incredible visuals. The plotline follows a biologist and a former soldier Lena (Natalie Portman) who is recruited by the government to investigate peculiar happenings occurring at national park and tropical coastline in U.S.
Lena sets for the operation along with psychologist Dr. Ventress, physicist Josie, scientist Cass and paramedic Anya to find out what happened to her husband (Oscar Isaac) inside The Shimmer. Lena’s team enters the coloured glycerine bubble liquid like curtain armed with weapons, here the vegetation is rich, birds are too brightly coloured and numerous. Inside Shimmer the team of women discover a world of mutated landscapes and creatures, which is beautiful as well as dangerous. Lena comes across a bout house surrounded by beautiful and unique flowers, the set was decorated with real white orchids and Veronicas to make the actors feel natural with the scene, later on rigged mutated flowers different in shape with cloth simulations were added in the scene. Mutated flowers were built using 3D software Maya, given texture in Mari and arranged in Nuke before being placed into location using CG. Photoshop tools were used to paint wide and close up shots and to create concept idea. The suburban mid-west house inside the shimmer was created with CG. A fully CG house with fence, lawn, swings, phone lines, satellite dishes and, flower beds was created inside the shimmer, the cityscape background was created with an additional matte painting. For the camera movement a 2.5 version of the entire environment was also made. For the bear visual effects supervisor Andrew Whitehurst and his team worked on several concepts such as a wild boar like creature, a bear with a set of human teeth and finally a design was selected where several species skulls were mashed together in 3D software. The 3D design for the bear was created by rigged with muscle systems and skin simulation to get the folds in the flesh correct, similarly the fur was groomed to be matted and patchy to highlight the diseased state of the beast. The bear was created by mixing practical effects and CGI with addition of human voice at post-production stage by sound design team. Team of five women scientist confronted a huge mutant crocodile, a bear with predator teeth and dead humans morphed into botanical hybrids in the Area X. At DNEG studio 250 artists worked around 800 shots for the film. The director and his team took five days to film the bear attack sequence. The Tristan Versluis special make-up and animatronics team designed and built a full scale model of alligator which was scanned and used as the basis for digital version, the team could adjust the level of horror or mutation of the creature digitally. VFX artists observed a lot of electron microscopic image of cells, mathematical forms, lichens and deep sea images and developed visual ideas through concept paintings, story boards and animation tests. The source of Shimmer was achieved by creating a modified Mandelbuld 3D fractal that developed by Federico Frasinelli, which was later rendered with a lava and metal like surface. Extensive Compositing work was done on them to make the effect fine; Mandelbulb is a mixture of geometry, shading and compositing work. Mandelbulb was created in Houdini, 3D software. 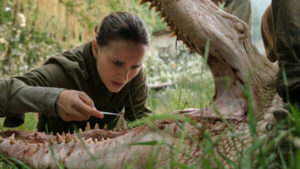 DNEG handled the major part of the visual effects but along with it studios like Nvizible, Milk and Union also contributed in the making of Annihilation. Nvizible worked on the scene where Radek transforms into a tree like structure. Milk did set enhancements and created elvers that we see in a single shot of under the water surface. Union also did environmental work and created exterior shot of Lena’s house. Stephanie Whitmarsh simulated CG trees; the timing of the falling tree was matched with the speed of the editing. Cleve Zhu helped in compositing the trees, he helped to tie the CG trees with the on-set phosphor flare lighting that was created by Hayley Williams’ SFX crew. Actress Sonoya Mizuno was the humanoid in the film and Kristen McGarrity played doubled for Lena. Motion Capture technique was used to get the action of humanoid. Sonoya wore a black skin-tight costume with tracking markers and performed all her scenes up to the moment of fire on her body, CG fire on CG humanoid was done. The fire on the Humanoid and the lighthouse was done by Federico Frassinelli and his FX team. 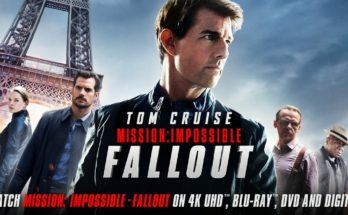 With the cinematographer Rob Hardy the film was shot for several weeks on different locations of UK, the fishing hut is in Windsor Great Park, the lighthouse at the Holkham in North Norfolk, base is actual former US Air Force base. The credit goes to art department as it turns rural England into marshy outlet of a lake or river. 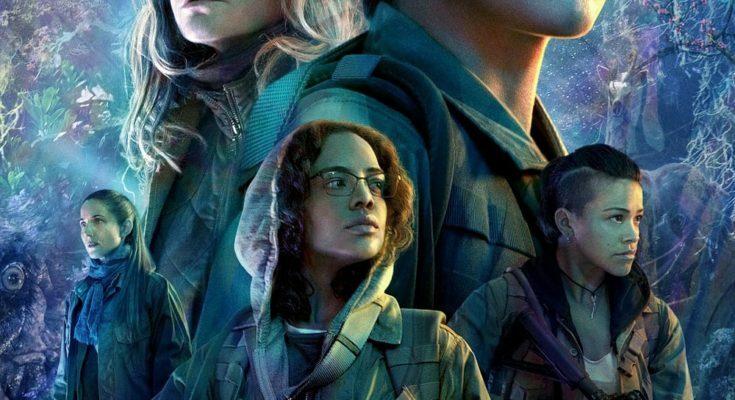 Alex Garland’s Sci-fi Annihilation will take you into the weird world of shimmer, an environment that is fast absorbing nature and destroying it. Garland used The Shimmer to explore the human urge toward self-destruction. 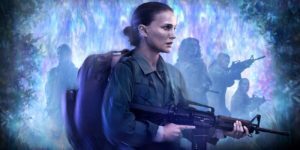 Annihilation is a visually rich film where huge amount of design work has been done. A tale of horror and suspense, Annihilation left a haunting impression on its audience. 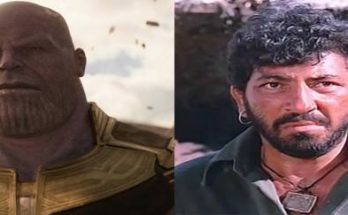 If you carry that passion to be a part of splendid Visual Effects for the Movies then come and visit any of our Maac Kolkata Centre and explore numerous VFX techniques that are used to develop remarkable VFX in the Movies.